The bomb blast in Hubli court that had occurred last year was engineered by a Hindutva outfit. Karnataka police says that the mastermind Nagraj Jambagi has been arrested. 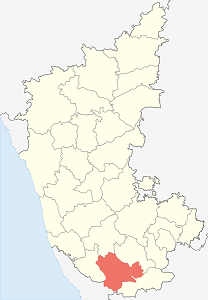 The blast had occurred in May 2008 in the Hubli court. Inspector General of Police (IGP) Raghavendra Auradkar said that nine members of the group have been found responsible for the act and have been caught. Sources said that some of the members were linked to the hard-liner Shri Ram Sena while some others were former members of the Bajrang Dal. They wanted to kill some members of the radical Students' Islamic Movement of India (SIMI), which is a banned organisation, and is also alleged to have links with Islamic terrorism. The group had earlier also planted bombs near a bridge at Dharwad on the Belgaum-Hubli highway. The Karnataka police said that the gang was involved in nine murders and many other heinous cases. The police recovered Rs 11 lakh from their possession. The Hubli police are interrogating the members to find out what motivated them to plant the bombs. Their rivalry with the SIMI and the association of members with the extremist Hindu organisations are also being probed. The revelation has come soon after the arrest of Sadhvi Pragya and Abhinav Bharat members for planting bomb at Malegaon. Karnataka has witnessed terror strikes and bomb blasts repeatedly and the BJP is currently at the helm in the state.